LuWSI is a multi-stakeholder collaboration system inspired by and working towards the vision of water security for the residents and businesses of Lusaka. At its core, it is a multi-stakeholder partnership between public sector, private sector, civil society, and international actors that creates a platform for dialogue and governance structure for joint decision making. 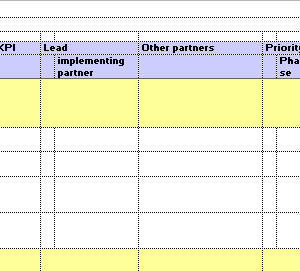 Currently LuWSI has 16 partners from the different sectors and hopes to expand in the future. LuWSI partners engage in dialogue, analysis and knowledge generation, advocacy and awareness-raising, project development, and resource mobilisation. This leads to LuWSI’s partners collaborating with each other and other actors to implement strategic projects to concretely improve water security for Lusaka’s residents and businesses. An example of these projects is the well-field protection project, a partnership that seeks to protect two of Lusaka Water and Sewerage Company’s (LWSC) critical borehole sites from encroachment, pollution, and over-abstraction. LuWSI’s partners are also engaging in a school education and community awareness raising project, which will bring key-messages to peri-urban areas in Lusaka on important topics such as solid waste management, sanitation, and appropriate health and hygiene practices. LuWSI serves four key functions, the first of which is to assess, monitor, and prioritise water security threats and solutions. 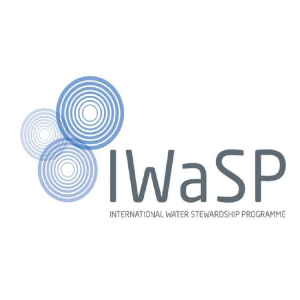 Assessing water risks is also part of IWaSP’s Water Risk and Action Framework, and therefore a necessary step in partnership building. On 9 December 2015, GIZ, acting in its capacity as Interim Secretariat of LuWSI, held a meeting to consult LuWSI partners and other key water sector experts to help design the Terms of Reference for a Situation Analysis as part of the Water Risk and Solutions Assessment for Lusaka, to be conducted by international Water Resources Expert, an independent consultant from South Africa. International Water Resources Expert attended the meeting and there was significant feedback from stakeholders regarding the potential focus of the Situation.